Play the finalist chosen by Baldur's Gate: EE creative director Trent Oster right here on The Escapist. And the first finalist is ... Protein Pirates from AbstrAKTGames! Protein Pirates is a brilliant game, in which players attempt to hijack cells and replicate their DNA to take over a biological system. As your pirate crew captures more cells, you're able to evolve and certain processes that were once manual, slowly become automatic. The team's theme, "automation," is clearly seen in the game's reward mechanic, which involves removing certain tasks from the player's attention by, well, automating them. As more things leave the player's control, the game amps up the difficulty by expanding the play area. Even the team's element, "pirate," which only needed to simply appear in the game, was essentially used as a secondary theme. The final package is an extremely fun action puzzle game, with wonderful artwork, and a precision difficulty curve. The game, chosen by BioWare co-founder and current Creative Director at Beamdog (which most recently released the widely acclaimed Baldur's Gate: Enhanced Edition) will be the first of ten offered to Yahtzee as an Indie Speed Run finalist, making it eligible for the $2,500 grand prize. 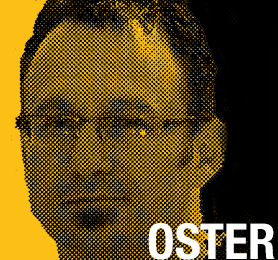 "My vote is for Protein Pirates," said Oster. "I liked that it uses a simple mechanic, is easy to pick up and then escalates the challenge as the game progresses. The end result is a complete feeling game." AbstrAKTGames managed all of this in only 48-hours for Indie Speed Run 2012. How did they do it? Check out the video below on the development of this awesome game. Check out the full game for free right here, and tell us your thoughts in the comments. Make sure to check back with us in 48-hours to see and play the next finalist as chosen by Ron Gilbert!